An Italian kitchen is a special place. It’s filled with aromas of delicious Italian food cooking on the stovetop or in the oven, along with colorful ingredients, like green basil and red tomatoes. However, no Italian kitchen is complete without the essential Italian cooking tools listed below. If you want to turn your kitchen into a place where authentic Italian food is made, consider getting these kitchen tools for yourself. Ah, the wooden spoon. No Italian kitchen is complete without a few of these in all shapes and sizes, with and without holes. Wooden spoons are perfect for stirring pasta sauce, cakes mixes, and pastry cream. The ones with holes are essential when making dishes such as risotto because the holes allow for the rice to freely flow through the spoon. 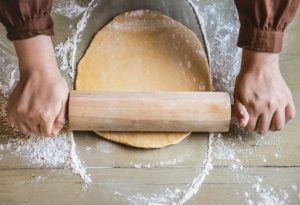 Whether you plan to make your own pasta, pizza crust, or cookies, a rolling pin is an essential Italian kitchen tool. There are two styles of pins – rods and rollers. The latter is a thick cylinder with small handles while the former is thinner with tapered batons. Looking to become an overnight Italian chef? Then you’ll need to learn how to make your own pasta. It’s easy when you have a pasta machine. With a pasta machine, you can make any kind of pasta, such as linguine, Fettuccine, spaghetti, lasagna noodles, and more. You set the desired thickness or thinness of the pasta you want to make and simply crank the dough out through the rollers. Most pasta machines also include accessories that allow you to make nearly any kind of pasta shape you want. Also called a strainer, a colander is one of the most important tools for an Italian kitchen. You need to drain your cooked pasta right away so choose a colander that allows for a fast and effective drainage option that also doesn’t allow any food to escape. Since the sink is typically the most dirty place in the kitchen, make sure the sink is completely clean before draining the pasta and avoid having the colander tip over with food spilling out into the sink. Yuck! An Italian meal must have wine to go with it. Red or white, depending on what dish you’re serving. For this reason, it’s important to have at least one wine bottle opener in your Italian kitchen, though having more is better in case you misplace one. When you begin researching information about different fats and their role in your diet, you will find quite a bit of conflicting information. However, almost everyone can agree that olive oil – especially extra virgin olive oil – is a substance that is actually good for you. That’s great news because that means you can drizzle it on your salad and use it to fry your chicken, without the guilt. Read on to discover the top five health benefits of olive oil that you probably didn’t already know. Extra virgin olive oil is a favorite for many recipes because it is a nutritious ingredient. 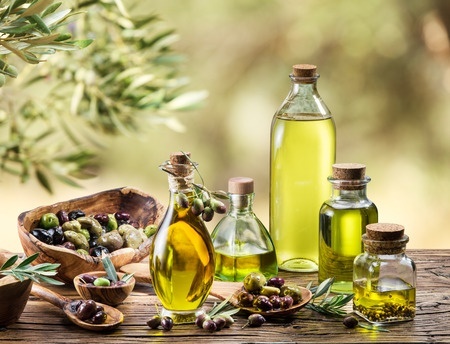 In addition to being a good fatty acid, it is also full of modest amounts of both vitamins K and E. However, what is even better is that olive oil is full of antioxidants. These antioxidants are able to help fight off serious diseases and cases of inflammation. Antioxidants also help to prevent the cholesterol present in your blood from getting oxidized, which in turn helps prevent heart disease. Many experts believe that a leading driver of a number of diseases is chronic inflammation. This includes serious diseases, such as Alzheimer’s, obesity, arthritis, diabetes, cancer, metabolic syndrome and even cardiovascular disease. Olive oil has been proven to help reduce cases of inflammation. 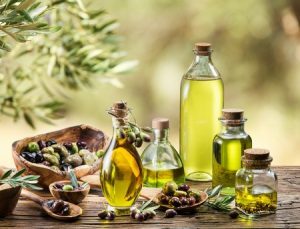 In fact, there are some studies that show that the antioxidants in olive oil can inhibit some of the proteins and genes that cause inflammation, begin with. If you have plans to attend an Italian wedding, you are in for a real treat when it comes to the food selection. That’s because there really is nothing quite as delicious as authentic Italian fare. 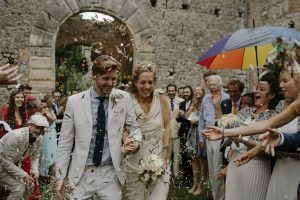 Keep in mind, you won’t experience real Italian cooking just anywhere, but you can feel confident that when attending the nuptials of a couple where at least one of them is Italian, you are going to encounter a couple of the dishes on this list. This dish is made of thick slices of bread, which have been grilled. After grilling, the bread is rubbed with garlic and has olive oil drizzled over it. In some cases, the bread is then topped with herbs and tomatoes. For most purposes, this is served as an appetizer and is the ideal way to provide snacks for guests attending a cocktail hour. Another dish that is commonly served at Italian weddings is ravioli. This is a type of dumpling that is made by inserting a filling of your choice (cheese, meat, etc.) between two thin layers of pasta dough. 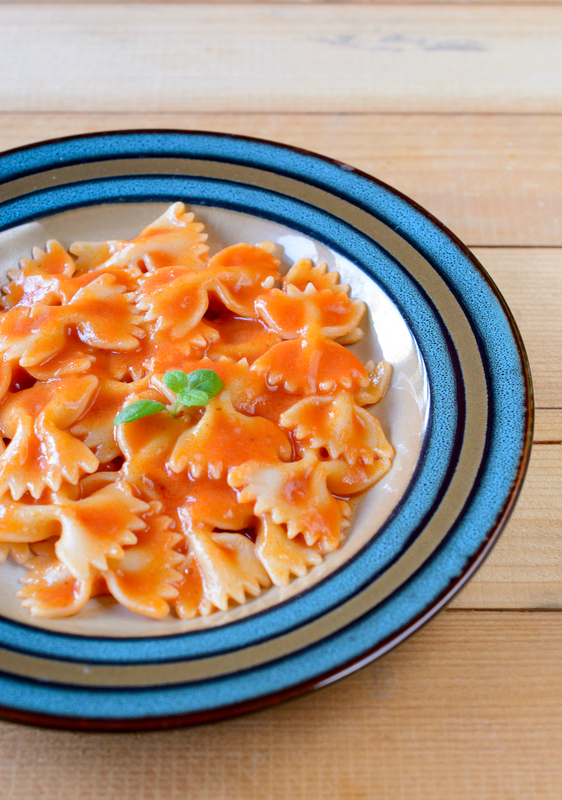 While ravioli can be served alone, it is often served with either pasta sauce or broth. 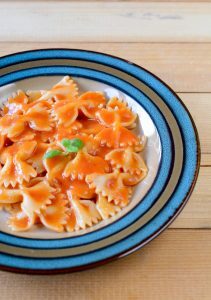 This is how ravioli originated as a type of traditional Italian dish. Traditional Italian wedding soup is made with green vegetables, typically cabbage, spinach, kale, lettuce and/or escarole. Meat is also added, with the most common types being sausage that contains parmesan cheese and Italian parsley and meatballs, and then it is all cooked in a chicken-based broth. Chicken is one of the most popular main dishes for Italian wedding receptions. Some options include spaghetti with roasted peppers and chicken, chicken parmesan, chicken Sorrento and chicken piccata pasta. Each of these are considered traditional Italian dishes and are often seen at Italian weddings. When it comes to dessert, the Italians definitely do it right. Hot berry tarts are a popular wedding desert filled with delicious fresh fruit and all the traditional pastry makings. 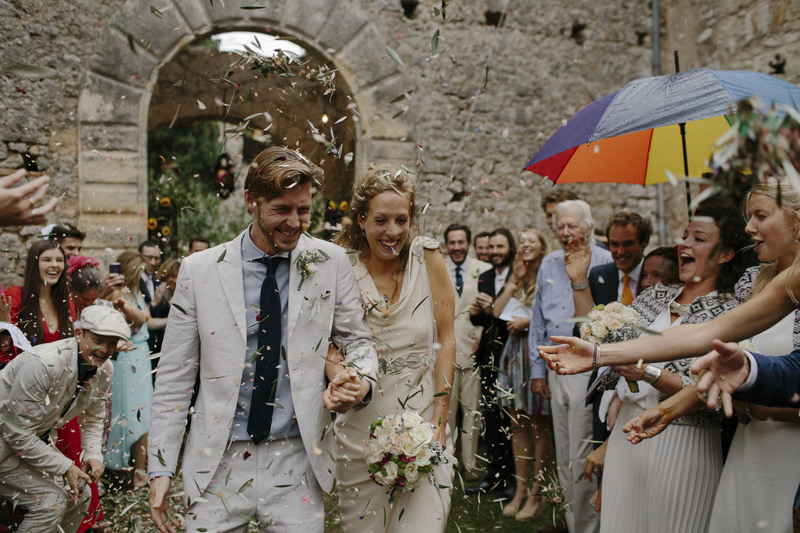 It is a great addition to a summer wedding and something all the guests are sure to love, whether they’re Italian or not. Regardless of if you are planning an Italian wedding, or just have plans to attend one in the near future, you are definitely in for a culinary treat! The dishes highlighted here are just a few of the things you are sure to experience at this event. You don’t have to attend an Italian wedding to have great Italian food. 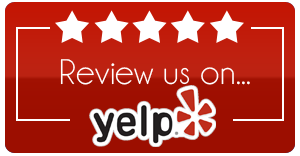 Stop by L’Amore for a little taste of Italy.